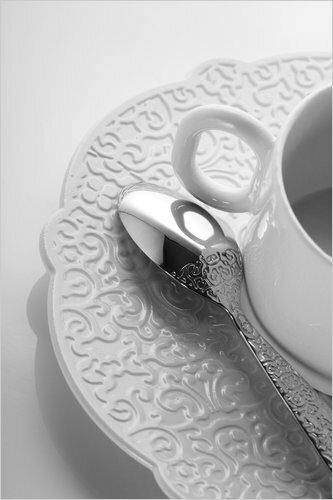 Discretely designed with subtle scalloping and intricate floral relief patterns, Marcel Wanders’ dress collection by Alessi manages to have a place at both the fanciest holiday dinner and at a pizza night on the couch. Maybe it’s personal preference or my generation, but I have no interest in fine china. It doesn’t feel very modern, plus I’m much more practical than to spend gobs of money on a set of dishes that, while pretty, aren’t meant to be used day after day. 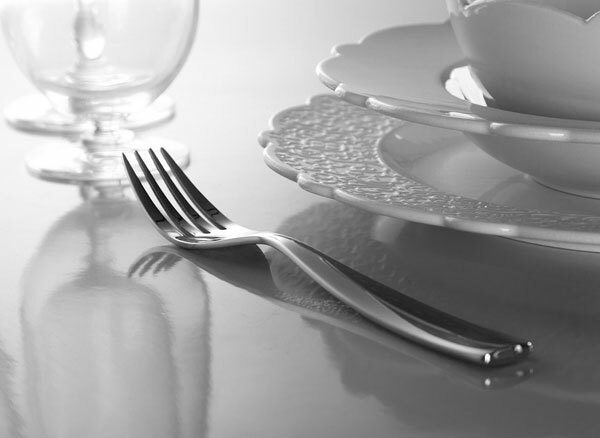 Enter: Alessi’s new Marcel Wanders-designed tableware collection, Dressed, which has the dinner-party-throwing girly-girl in me just giddy. Discretely designed with subtle scalloping and intricate floral relief patterns, these pieces manage to have a place at both the fanciest holiday dinner and at a pizza night on the couch. I love that they bridge everyday with special occasions, in the same way that the whole collection is modern with hints of traditionalism. Wanders told the New York Times that Dressed was created to be festive, a dressed up version of the minimal tableware designs already out there. The cutlery is my favorite—plain and predictable on the front, but when flipped over, there’s the floral pattern working its way up most of the utensil. That understated detailing is stunning—yet modest. 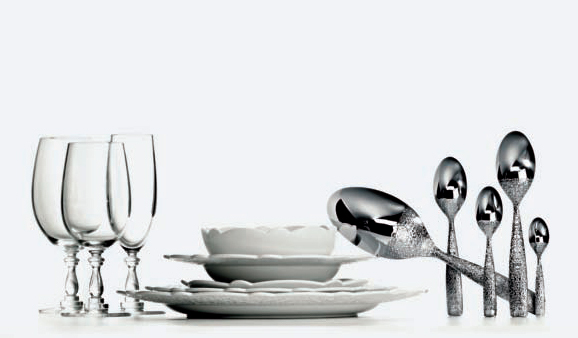 Check out the full collection of Dressed tableware by Alessi, available at Lumens.com.